How to get FREE website traffic? This may be the end of your nightmare; so pay close attention to what follows and make sure to read this blog post in its entirety. If you have a website, or a blog; a Facebook page, or if you do not have any of these three, but you have some affiliate links on which you want to attract a lot of traffic and this for FREE, keep reading. I will show you a method that I have been testing for a month that works perfectly. It gives remarkable results. This method will allow you to receive an unlimited amount of traffic to your site; your blog; your Facebook page; or your affiliate link; or anything else that will allow you to receive traffic in unlimited quantities and especially for free. Paid traffic is good, sure, but FREE traffic will necessarily be more interesting! So if you are a regular reader of my blog, you may know that I have already written about acquiring paid traffic and free traffic. Personally I use a lot of different strategies that are not always free, such as online ads; Facebook Ads or Google Adwords which attract traffic to my websites and blogs by paying. That is to say that I pay for example for each click that will be made on my sites. These are strategies that work perfectly well; which I use every day and that brings me hundreds and hundreds of visitors every day. Now for a month I have been testing another form of traffic that also brings me remarkable results: it is free traffic. So if you want to attract FREE visitors to your website, blog, Facebook page or affiliate links, what solutions are available to you? You simply have the natural SEO of Google. Google can send you thousands and thousands of visitors every day for free. How to get FREE website traffic with Google? It is a free method that uses Google but requires patience and perseverance. Also, it is a method that works extremely well. It is a method that is free, but you will need a lot of patience and a lot of work. Just because on Google the competition is very tight and very fierce and for some keywords, especially if you are positioned on a keyword that is competitive. It will be very difficult to place you on the first page of Google. So this is the main form of traffic that people use to receive free traffic. Generally on a site the majority of the free traffic just comes from Google. Now, there is another source that will allow you to have results as remarkable as Google. But this time you will be able to go much faster. This source is simply to use the power of YouTube. You probably know it YouTube is expanding, EXPANDING; it has become one the top 10 most used sites in the world; where the majority of people do their research. There are plenty of them now who are doing their research directly on YouTube, simply because a lot of people prefer to watch a video rather than read a long article such as a blog post on a website. Since YouTube in now owned by Google, when people make a search on google, there are video results that appear on the first page, it means that the users have the choice between the results of websites where they will be able to consult text, or now videos directly. So that’s why YouTube has literally exploded, traffic has exploded. On the other hand there is a huge advantage in using YouTube: it is that the competition is not as important as on Google. 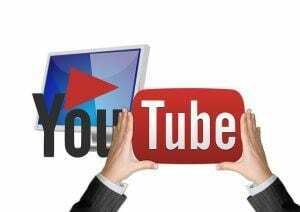 And you can place yourself much faster and much more simply on competitive keywords on the front page of YouTube and receive thousands and thousands of views on your videos. But, if you want to create videos in order to promote an offer, a website, a blog, or no matter what you wish to promote, you will still be confronted with a problem: it is the technical aspect of creating quality videos. Indeed if you want to create a video that will grab the intention of the user, that are going to be really moving, that will allow the user who watches it to stay captivated by the video and to see what you have to offer, the technical aspect may be an obstacle because … the technical aspect to create videos requires a skill that is not given to everyone. Although there are solutions that exist, such as investing in a good program, but again, this may be a too complicated and a very expensive solution. What would be then be an alternative? To tell you the truth, I have tried to create my own videos using some tools that are free and supposed to be easy to use, such as Screencast-o-Matic , but I think that I don’t have the patience for using it. I have seen some excellent videos created with it, so it doesn’t mean that you will not be able to do the same. I will now introduce you to my technique for getting loads of traffic from a YouTube video. I am assuming that you will create your videos yourself and that you are confident in using the application I am talking about above: Screencast-o-Matic, which would be the best way for you to proceed, if you can. So for a month, you will shoot videos with that tool that I talked about. It will be a video where you are promoting a product that you are selling, or an affiliate program for example. So it should be quite short, not as long as the one I had created above. You could be standing or sitting at your home office desk, or in your lunge, or if you are promoting some kitchenware for example, in your kitchen. You then introduce the product and normally, if your video is captivating, you viewer will stay till the end where an internet link appears, or you can have a clickable link that appears directly under the video. So that’s the kind of video you can use to get a lot of traffic on your offers. So, I did not just have this one video created, I had several of them made for just one offer. That’s why I suggest that you try creating your own videos as opposed to pay for a a freelancer, which could become quite expensive. Now, you are going to tell me, “Yes, but creating many videos like that, it takes me a huge amount of time”; I can assure you, not at all. You will see, that maybe the first one will take you a bit of time to get used to the tool, but then, the following ones will take you less than five minutes, and you don’t need any particular knowledge or skills in the video creation to come up with a very good video. So, what’s next. This video, that I had created and uploaded a month ago on YouTube, I wanted to position it on a keyword, in this case “Best FREE Internet Marketing Training Online – Join Now …” So the key word I am targeting is “FREE Internet Marketing Training“. Then, when you make several videos like that for an offer, of course you will not put the same titles and descriptions on all of them. There are software available to find new customers, so I could very well position on keyword “how to find new customers”, “how to find new prospects”, “commercial prospecting software”, “Facebook software to attract customers, “you see, there are a lot of keywords on which I could position myself like that. Okay, so this video which I uploaded a while ago received, at the time of writing this article, 83 views. Okay, you are going to tell me it’s not huge. Indeed it is not huge, but … I have videos that have had thousands of views, others hundreds and others dozens … some, nothing. The average views I’ve received from about fifty that have uploaded so far: 380. So now, I’m going to pickup my calculator, I will do a quick calculation so you can see what it can do for you. So 380 views, for about fifty uploaded videos as I said. I will round it up to 400 views to make it simpler for our calculations: 400 x 50 equals 20,000! So about 20,000 views for the work I did. 20,000 views in about a month! Let’s assume that one in ten visitors was going to see the site and the offer that was behind to find out more. So one visitor in ten is really the minimum because as I told you, we are “pessimistic”. Then you might have one in three or four people who are going to see what you offer. To really give you a good example that it is quite achievable and that it proves to be true every time – you will have videos that will perform much better – but to just to give you an example we will take one in ten. So here it is assumed that only one in ten viewers went to see what I am promoting. So, I divide that by ten. At least I can be sure that I received about 2000 highly qualified visitors – because they were people who had typed keywords related to what I propose, who saw a video that kept them interested, therefore, I can say that my leads are highly qualified, and ultra-targeted visitors. These 2000 people who came to see my page. In this case it was a capture page that I know converts to 50%. So I received 1000 qualified contacts on this simple test. So we can recapitulate here that I had 2000 people who arrived on my offer, all for free. … which will get me an enormous amount of traffic! What is good with this method is that you can reproduce it to infinity for any offer. You can reproduce it for a blog for example. Create a video to promote your blog; you have a website you can make videos for your website. This works also extremely well for affiliate links, you will be able to redirect people to your links and obtain great results thanks to this kind of video. It is obvious that if you create less captivating videos, you will lose a lot of people. The advantage is that you do not even need to show yourself in front of the camera; you do not even need to talk; that is to say that I have a music that I like, a text that I put on this video and it’s done and dusted, as I told you, in less than five minutes thanks to Screencast-o-Matic. Everything is self explanatory as you signup for it and you will quickly master it. You will get better at it as you produce your videos. 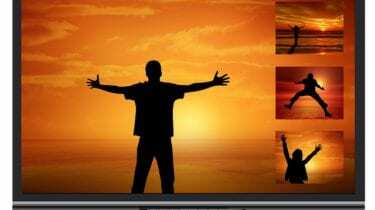 With time and practice, it will allow you to create amazing videos and earn a lot of money. So that was it … It’s been a month that I am testing this technique. It really returns great results and I invite you to position yourself on YouTube; as the competition is much less fierce than on Google. Because of this, there are more and more people who are now doing their research on YouTube. It allows you to collect thousands and thousands of visitors each month for free and it is unlimited. As my videos continue to run, they attract visitors on a daily basis without me doing anything at all. So it is extremely efficient and above all very profitable. If you have products or services of your own to promote, affiliate links. Also, I think of people who do network marketing, to recruit new distributors etc. It is something that is very profitable and very effective. I hope that you now understand how to get free website traffic. Pretty simple right? If you have any other tips in this particular field, my readers and myself would like to hear from you. And, should you have any problems and would like to find a solution, please make use of the box below and someone and/or myself. I will respond typically within 24 to 48 hours. If you enjoyed reading this article please share it socially and post your appreciation in the comments area below, I will highly appreciate it! I am new to the affiliate world, and learning how to use the right words and phrases is something that I need to master. After reading your article, I can clearly see that Jaaxy is a wonderful tool for making my website more searchable. Thank you for your comprehensive explanation of how all the pieces fit together. So, first of all, welcome to the world of financial freedom that is affiliate marketing opportunity, and in particular Wealthy Affiliate. Thanks so much for reading and commenting on my “How To Get Free Website Traffic” article. I am glad that you found useful tips there for your own business. I am sure that you have gone through the many articles I have posted so far, and there are more to come. If you don’t want to miss any of the upcoming posts, I suggest that you signup for my newsletter so that you will be notified as soon as something new comes up. The signup form is located on the top right column of every page. Since you are new to affiliate marketing, you might like to subscribe to my mini Internet Marketing course. The signup form is also situated on the top right column of every page, immediately above the signup form for the newsletter. Feel free to let me know of you have any questions about anything, okay? Just write down your question at the bottom of each post, in the comments section. I wish you the very best for your new online venture. Thanks for the the very informative and detailed article, Youtube has always scared me as I get intimidated by some very awesome videos there but your post has given me a new insight and I think am gonna try it. Also between google adwords and facebook ads which have you had better results with because I was thinking of going this way too. I’m glad that you liked my latest article about “How To Get Free Website Traffic” Larry. Creating your own videos is often what scares a lot of people away. Unfortunately, it is the way forward as more and more people prefer to watch a video rather than reading a long page of information. I think that you should take the plunge Larry, you might surprise yourself. I have seen so many websites and saw videos created by people who are nowhere near to be professionals, they are not perfect, but they don’t need to be. And if you see their YouTube statistics, you will see how popular they are. Of course, the other way around is to hire the services of a freelancer like on Fiverr who will do a great job for you, often for a reasonable price. To answer your question about the results I’ve had between Google Adwords and Facebook Ads. To tell you the truth, I am not a big fan of Facebook. I do promote quite extensively for my businesses and other clients, not only on Facebook, but also on about 50 different social platforms and have quite a good response, but it is limited to that. Adwords is certainly one of my favorites, along with LeadsLeap. Both are getting me a lot of traffic along with an excellent conversion rate. I hope to have answered your questions fully Larry and I wish you the very best for your online enterprise.